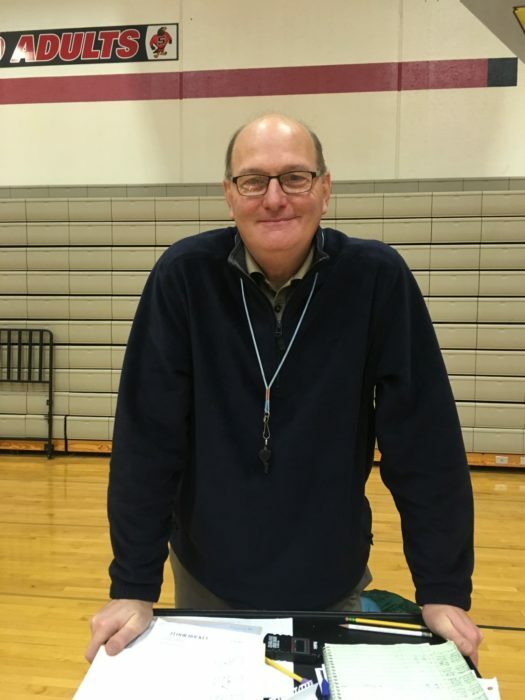 Twenty-one years ago teacher Mr. Dean Kugler started working at Shawano Community High School and is now a Physical Education teacher, middle school basketball and high school golfing coach in the community. Mr. Kugler lives out of town, but is completely fine with the drive everyday since he enjoys Shawano. This is positive for sophomores Taylor Johnson and Andrew Puissant, since they like him as a teacher at the school. “He is really funny. He makes everything easy to work with,” Johnson said. Mr. Kugler teaches Recreational Sports, Officiating Team Sports, Fundamentals of PE, Individualized PE and, next year, also Weight Training. 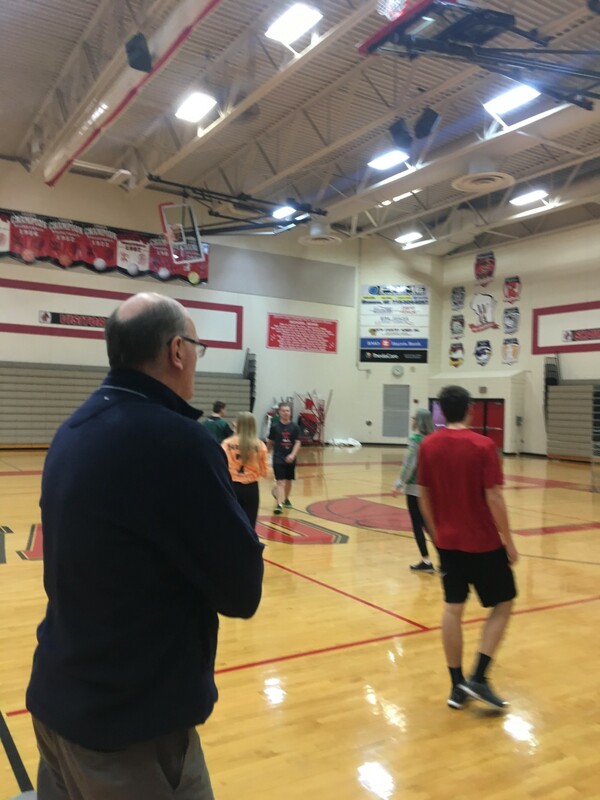 Sophomore James Watson is in Rec Sports and Officiating Team Sports and has a few tips on how to do well in Mr. Kugler’s classes. “ If you do not participate in his classes you will get a zero. Your grade is pretty much up to you. Just participate your best, and you will get an A,” Watson explained. Recreational Sports is a class where students learn new activities to improve their overall health. Every week students are introduced to a new activity. Johnson, Puissant and Watson are all in Rec Sports, and they really enjoy it. “The best is that we get to play games all the time and have fun together,” Johnson said. This, however, is not necessarily something negative according to Mr. Kugler. As head golfing coach for both boys and girls, Mr. Kugler loves to play golf in his free time. He wants the students to gain relationships from their golfing experience since golfing can be used in many different aspects. “Golfing is a lifetime sport. It is something that you can continue doing and keep active for a long time,” Mr. Kugler said. Johnson and Puissant have enjoyed having him as a golfing coach. Their best experiences with him was all in connection with the golf team. “We spend a lot of time together during golf season. I relate to him a lot because his sense of humor is the same as mine. He is really understanding,” Johnson said. Puissant have also had great experiences with Mr. Kugler during golf season. His best experience with Mr. Kugler was during last year’s Golf Conference. “He changed my drive for golf. He made it better,” Puissant said. “The main thing he has taught me is just to not worry about what other people think and to always do my best,” Johnson added. In the future Mr. Kugler wants students to know that they should always do their best. He hopes for students to get far in the future with strong motivation.